Roll on over as Roll-Up cofounders Anna Daedalus and Kerry Davis open the studio for two weekends of demos and exhibition of collaborative work. We combine old, analog practices with contemporary aesthetics, whether we’re doing tintype portraits, photograms or working with concrete. 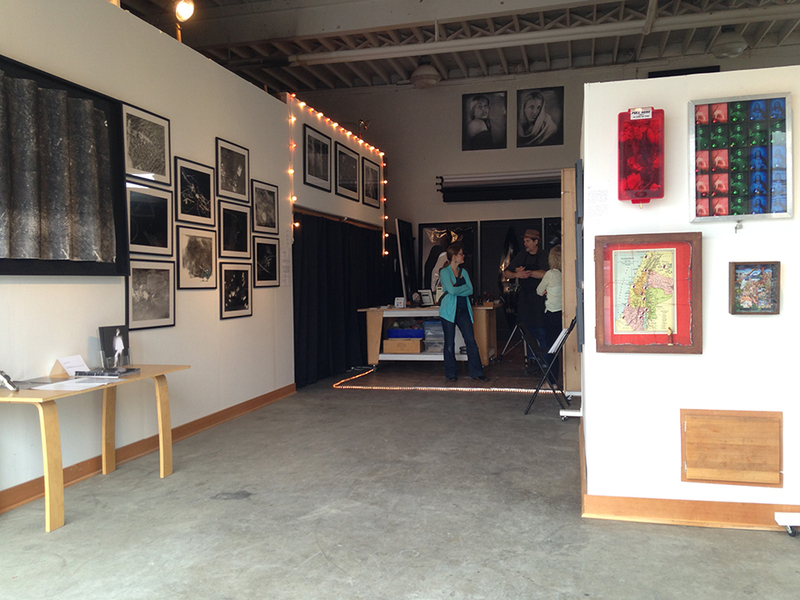 Portland Open Studios is an annual self-guided tour to visit the studios of 100+ artists throughout the Portland, Oregon metro area. These artists in a myriad of disciplines will show you their work, their processes, their spaces, and a little of what it means to be an artist in this great city. Watch, learn, experience. We’re part of Community 7 including Jeni Lee, Marla Baggeta, Carole Murphy, Jean Chapin, Melissa Gannon, Nanette Wallace, Richard Bloom, Marcy Baker, Dotty Hawthorne, Gia Whitlock, Wendy Robinson & Candace Primack. Roll-Up is an artist-run contemporary exhibition space. We are not currently accepting submissions. If you'd like to receive exhibition announcements, please contact us to be added to our list. Friday–Saturday, 12–5 pm and by appointment.